Perfect your pout with Miners Cosmetics range of stunning and vibrant Lip Colours. Choose from a selection of twelve luxurious lipsticks for irresistably kissable lips. 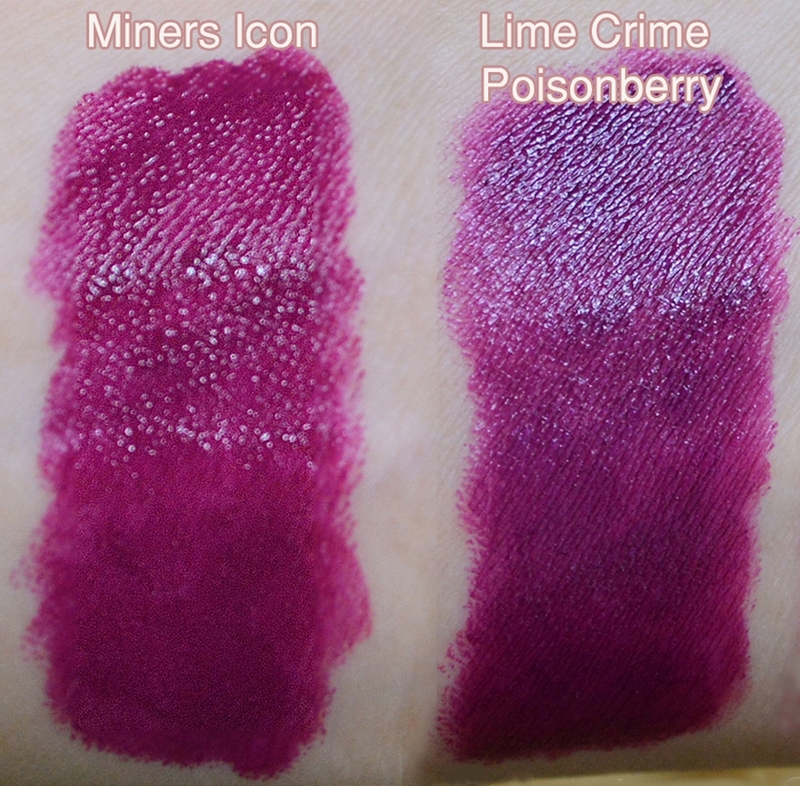 Comparison- Icon is a bit lighter and has a warmer tint than Poisonberry and applies more evenly. 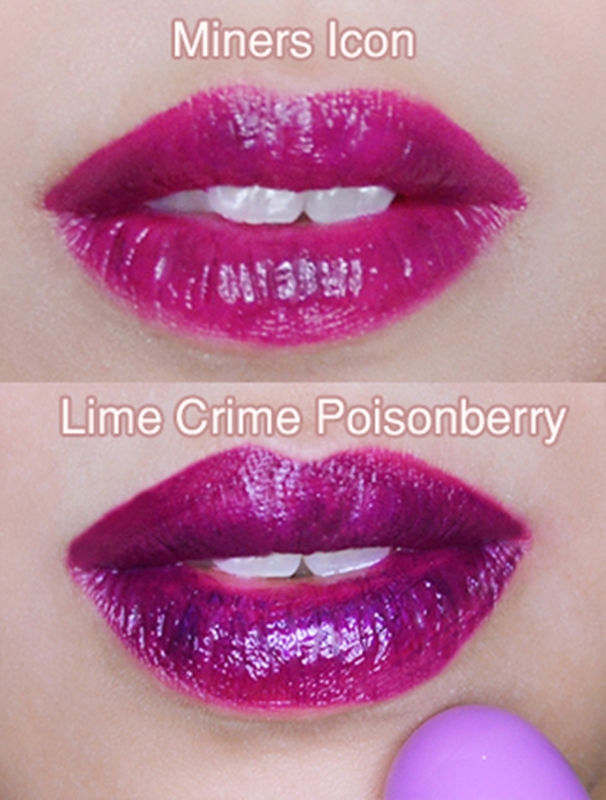 Poisonberry is a bit darker and more purple. 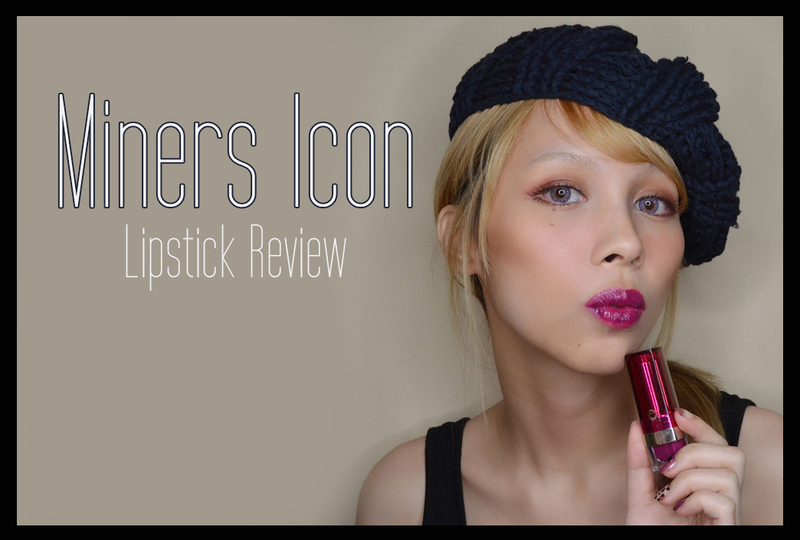 The purple tends to settle into fine lines and enhance dry/cracked lips so I usually prefer wearing Poisonberry over a plum/purple lip pencil while I can wear Icon on its own.